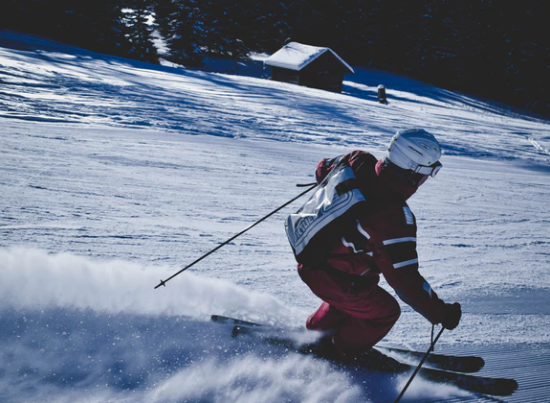 If you’re taking to the slopes as a learner for the first time this winter and wondering whether to pick up skiing or snowboarding, here’s a little insight into the choices you’ll be making. You may not yet be a winter Olympian like Ester Ledecká, but you never know, you might be just as much of a natural on the snow. There are lots of good reasons to give snowboarding a go – it’s such a unique way of exploring the mountains and there’s no sensation quite like it. With your feet strapped onto the board, the early stages can be tricky; but when you begin to get the hang of it, it’s easy to get hooked! Turning your shoulders and bending your knees for the heel turns then rising back up for the toe turns creates a feeling of fluidity, and the better you get, the more enjoyable it becomes. 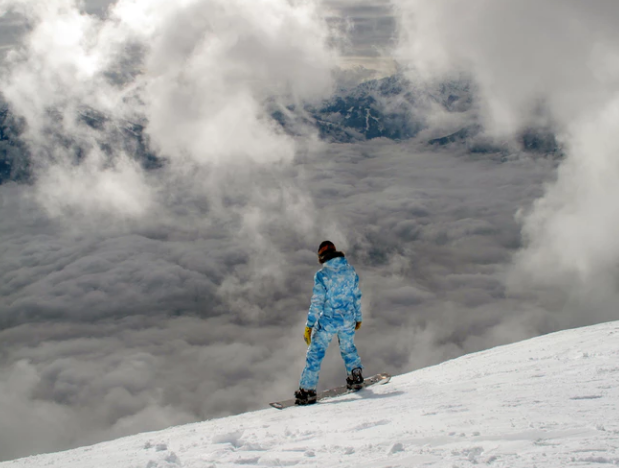 Snowboards are designed, by and large, for flotation in fresh snow; and once a new rider has mastered their turns on-piste, it’s just a small leap into deep powder. That feeling of floating through the snow is incredible – and it makes every tumble worthwhile. And we can’t discuss the merits of snowboarding without mentioning those boots. You can spend all day in your snowboard boots, not even bothering to loosen them for lunch, and your feet will be snug, warm and comfy. When you’re listening to skiers complain about their sore feet, you may even feel a little smug. One downside to boarding, though, is the flats. Most resorts have at least a little flat terrain, and you’ll need a bit of pace to get across it smoothly. Without enough speed, and no ski poles to push yourself along, you may have to release one foot and push-slide like a skateboarder, or walk it… unless there’s a kind skier to drag you along. Across the world, people have been enjoying skiing for fun since the late 19th century, and there are plenty of good reasons for this. You may trip and fall over in the early stages; but once you get the hang of controlling your edges on the snow, the rest often comes far more naturally than boarding. It’s generally easier to get on and off chairlifts and drag lifts on skis than on a board. Also, with ski design causing less friction, skiers can go faster and jump higher - plenty of boarders may argue this point, but you can’t fight the science! With your weight spread evenly over both feet, the biomechanics of skiing work in a learner’s favour, too. While beginner skiers quickly master the art of shifting their weight from side to side to make those early turns, learner boarders are still trying to work out how they caught that nasty edge on the last fall. And when it comes to heading off-piste, skiers are onto a winner these days, too. With fatter tips and tails than in years gone by, and stiffer bases too, modern skis are better-suited to powder skiing than ever before. By side-stepping up and sliding down, skiers can also reach high off-piste ridges far easier than boarders. If there’s one major downside to skiing, though, it’s the increased risk of injury. While snowboarders’ legs are strapped onto the board, skiers’ limbs can move freely and independently of each other. If you take a fall at high speed, the risk of injury is higher. But of course, skiing and boarding are extreme sports, and from lesson one you’re taught to manage the dangers. Like many keen snow-lovers, we’ve been following the fortunes of those talented Winter Olympic athletes, but skier and snowboarder Ester Ledecka’s recent run was truly exceptional. If you’re inspired to follow in her footsteps and take up skiing or boarding this winter, we’re on hand to help. Call on 020 3080 0200 or get in touch via our online chat service, and we’re always happy to discuss tuition, too.